A cultural association I ran together with Jul Gordon. Go to Kontaktcenter page. 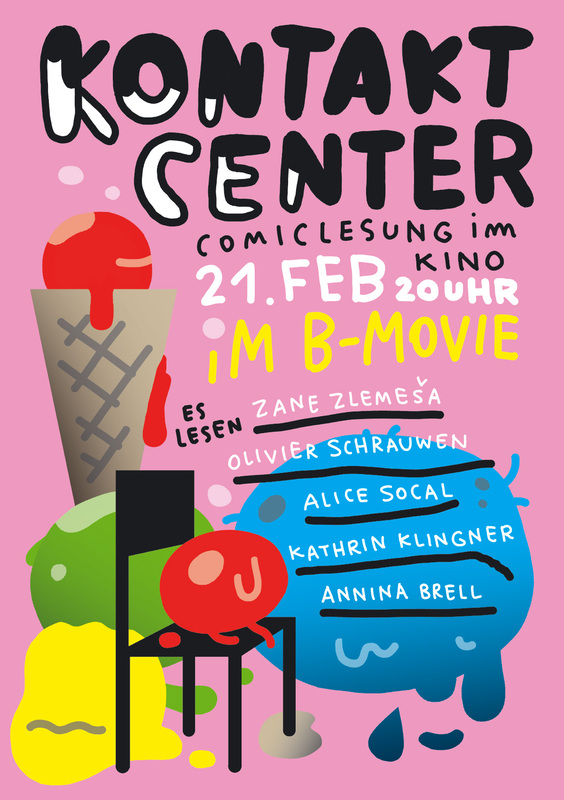 2003—2013 Editor of the comic anthology "Orang"
Comic seminar "Figuren mit tausend Gesichtern - Comicfestival Hamburg 2019"
"Kinder lieben Comics", Comicfestival Hamburg e.V. Workshop "Zeich(n)en der Zeit - Comicjournalismus"
Workshop "Redrawing Stories from the past 2" Together with Dr. Ole Frahm (workshop conducted in Naples, Italy and Leipzig), MitOst e.V. 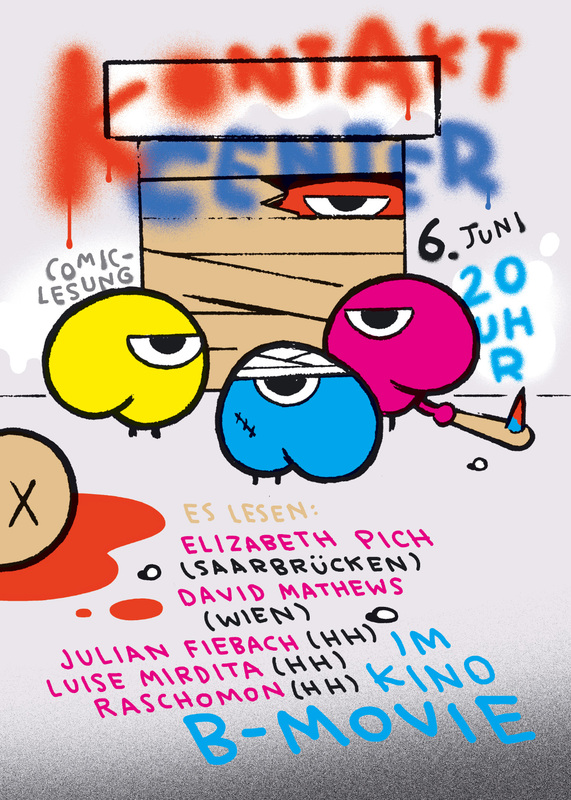 Comic seminar "Logbuch - Comicfestival Hamburg 2018"
Comic seminar "My favourite toy"
Workshop "A Brief History of Meteorite Falls"
Comic seminar "Comicfestival Hamburg 2017"
Comic seminar "Genre vs. Comic"
Workshop "Little red riding hood as a comic!" Comic seminar "Adaption, Übertragung, künstlerische Geiselnahme"
Workshop "Comics and Graphic Novels in Germany"
Lecture "Comics and Graphic Novels in Germany"
Workshop "Redrawing Stories from the past" Together with Dr. Ole Frahm (workshop conducted in Pančevo, Serbia and Chemnitz), MitOst e.V. 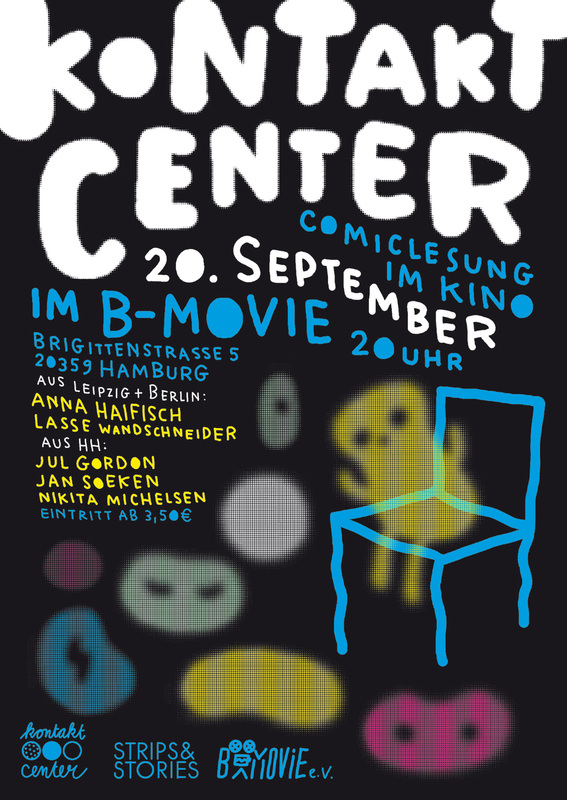 Lecture "Graphic Novels in Germany"
Lecture "Comics auf dem Weg zur Unlesbarkeit (und wieder zurück)"
Lecture "Zehn Jahre, zehn Bände"
Workshop "A life on its own"
Workshop "Small press, big impact"
Lecture "Sascha Hommer und Mawil reden über ihre Comics, über Hamburg, Berlin und die Welt"